Our primary focus is providing a dryer repair solution that the Irving TX area will always want to turn to. We realize that it can be frustrating to have a dryer that’s not working properly – or worse, not working at all. 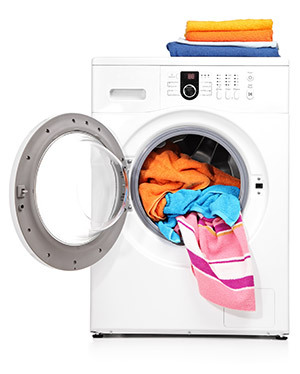 So we emphasize on providing speedy dryer repair services to all of our clients. Our licensed technicians are always on hand to help you if you are in need of a dryer repair in Irving TX. Estimating based on the costs of labor and parts found in the Major Appliance Service National Price Guide. Charging based on what we actually pay for these parts. Giving new clients $10 off on their first repair. Eliminating the service call charge whenever a repair is requested. Of course, we cannot start our dryer repair in Irving TX without getting a call from you. During this call, we will figure out when works best for you to have one of our repairmen head out to your Irving TX home to have a look at your appliance problems. Locate any damaged dryer parts. Provide estimate for dryer parts and labor. Obtain dryer parts in Irving TX if you wish to proceed. Return and install these parts and test the machine. It’s really that simple. So if you live in the area and are in need of a repair for your dryer, we hope that you consider us when deciding which Irving dryer repair company you will hire. Does your dryer maker weird noises? Are they squeaky or does it sound like a grinding noise? If so, you may want to examine the parts responsible for drum support. This includes the rollers, which hold the drum in place, felt padding, which prevents friction, and a single ball bearing, which sits in a nylon cradle. Find out where these are located in your dryer. Some models have slightly different drum support parts. If there is excessive wear and tear on any part that is between the drum and nearby components, replace it and see if the noise goes away.